Are you a new parent? 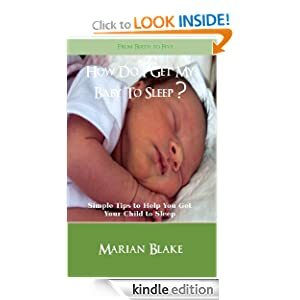 Are you having problems getting your baby or toddler to sleep? Do you have bedtime battles? Then this book is for you. Getting your baby to sleep when you want him to sleep is one of the important things you can teach your child. It is thought that sleep allows your baby to process what he has learnt that day and also give him a chance to digest his food and get the building blocks he need to grow. It is also important for you to get adequate rest so that you can be the mum the magazines tell you, you should be. They are lying to you as nobody is that good, but if you have enough sleep you will enjoy watching your child grow and develop. 1) Music and lullabies may sooth your child to sleep. Professional gambler Benny Delgano is in Las Vegas to compete in a high stakes fantasy football tournament for one hundred thousand dollars, only to run into a demented criminal from his past with revenge on his mind. Forced into colluding with Tommy the Wolf at the fantasy football draft in order to spare his friend's life, Benny finds out the stakes were higher than he originally thought. 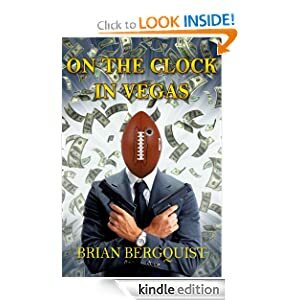 A short story about fantasy football, crime and friendship, On the Clock in Vegas will grip you from the beginning to its fast paced ending. 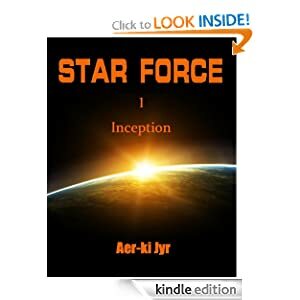 An accidental archeological discovery in Antarctica by the Pegasus Corporation sparks a new space race with a hidden agenda...one that will redefine Human history in the face of an impossible challenge. ""Inception"" is the pilot episode in the series. Daphne is a young woman with a troubled past. With her in the sanitarium are a strange collection of people who both hinder and help her as she tries to heal from an abusive childhood. Glen, the protector. Theodore, the wise. Stuart, the paranoid. Violet, the nymphomaniac. Pet Shop, the zookeeper. Shy Boy, the drooler. And Andie, the therapist who finally reaches through to Daphne. A story with sadness, horror, comedy, hate, love and redemption. The novel contains some humorous moments to lighten the story. It is a story about the redemptive power of love and the strength of the human spirit. Belt Buckles & Pajamas is intended for mature audiences, as it deals with a young woman’s recovery from childhood abuse, with frank language and sexual situations; it is not suitable for younger readers.